The Cowboys will be looking for their fourth consecutive victory at Lincoln Financial Field when they visit Chip Kelly’s side. The Eagles have only been able to win one of the last six at home against the Lone Star team. 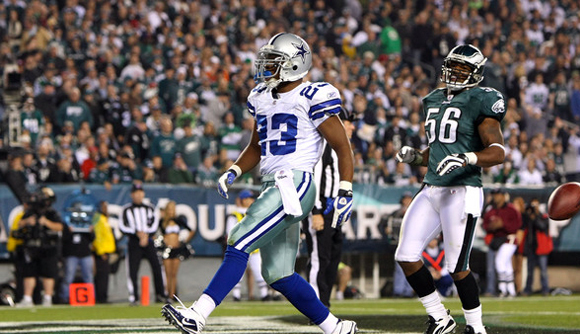 It will be a very important game for the Cowboys, as it will be the second straight against a team in the NFC East. The Eagles are favorites in the Football betting Odds -2.0 and in the last five against Dallas are 3-2 SU and 3-2 ATS. Since 2009, Philadelphia has lost four of their six opener games at home. Last year, they defeated the Jacksonville Jaguars by 34-17. In his last three visits to Philadelphia, quarterback Tony Romo has thrown 791 yards, six touchdowns and two interceptions. Last season, he finished fourth in the league with 34 touchdown passes, only behind Andrew Luck, Peyton Manning and Aaron Rodgers. Player to watch: It will be the first meeting for running back DeMarco Murray against his former team. Last season, he was the league leader with 1,845 yards on the ground, nearly 500 more than the second place (Le’Veon Bell). Find information about the 2018 NFL Regular Season Week 2, View Live Scores, Schedules and News for NFL Pro Football.